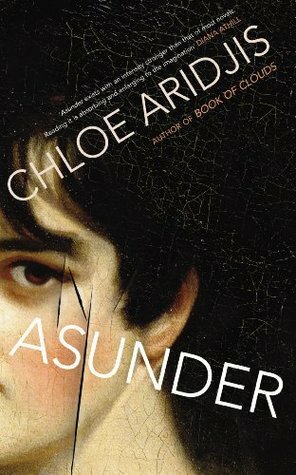 Barely reaching 200 pages, “Asunder” is a short novel and a quick read, but it will linger in your memory long after completing those pages. Its length is ideal, because it has precious little plot to stand upon, and a character who is largely defined in her commitment to inaction. Instead, Aridjis fills her pages with richness of mood, with a style that ends up conveying themes in place of a plot that would more commonly be employed. Yet, to say this novel is all just an exercise of style over actual substance rather does it wrong. It is literary, but is not weighed down in any sort of self-aggrandizing complexity. The style isn’t put in to show the reader what Aridjis is capable of, but serves to accurately portray the character she has created to touch, subtly and briefly on topics of humanity. The inaction of Marie, the protagonist, is enough to cause some readers to tear their hair in frustration, I imagine. Those that want a character to progress step-by-step into a better life, into a romantic relationship, etc, will be left wanting. Instead Aridjis flirts with these reader expectations, creating throughout a mood of unbalance, of something being on the edge, ready to tip over into some kind of catastrophe, hell, even some kind of activity. This all is embodied perfectly in the character of Marie, a guard who presides over the artwork at the National Gallery in London, spending her days in silence watching the same rooms, the same works, and the varied people of the world who flitter through, a tedium of inactivity and observation. During her times off she creates art of her own, or wanders the streets of London, watching while even off work, resistant to change despite the passage of time. Hence, the resolutions don’t happen immediately. They are continually delayed, up until the close and the heights of tension (for the reader and for Marie) are reached with a violence that is foreshadowed in events of the past. Throughout the novel this overall construction is patterned in many short sections of the narrative. We follow Marie’s thoughts or routines at work or in London as they build towards something. We read on, expecting the paragraph to end with a conclusion, some clever combination of words that summarizes her current state of character, or prewarns where she is heading. But, we find those lines aren’t there. The paragraph has ended, the chapter has ended, with Marie still apparently in midthought, or yet again firmly in a state of doing nothing particularly new. I fear that I make this all sound terribly boring, when the novel is anything but. They are different beasts, but it is somewhat like saying Seinfeld is a show about nothing, but is hilarious nonetheless. This is a book about a character named Marie that finds it hard to move past what she is, where she is in life. Yes, somethings eventually do happen, but you have to read to the end to get there. The beautiful journey on the way makes it worth it. This is also one of those rare books that I think I would actually prefer as a film. Despite the deceptive simplicity of the writing, its frequent moments of beauty, and its perfect synchronicity with the character of Marie, I feel so much could be conveyed even more though images in the hands of the right director. That this could so easily inspire a transition from one medium to another speaks volumes to me at how artistic and special this novel is.